In its nearly 30-year history, TED has built a distinguished collection of stories from the world's best thinkers, inventors and doers discussing what they do best—thinking, inventing and doing. Bill Clinton, Jane Goodall, Malcolm Gladwell, Richard Dawkins and Bill Gates, along with thousands of others, have presented for TED. Sharing their experience in bite-size nuggets of 20-minutes or less, for quick consumption, TED Talks—available online—are like intimate, personal lectures from Nobel Prize winners and world leaders, streamed directly into your home. Over the past decade or so, TED has hosted over 1,000 talks that have been viewed over 50 million times. Listening to TED talks while folding your laundry is stimulating, but it doesn't match the brain-tickling excitement of attending a live event where you can interact with speakers post-TED and meet other folks searching for a shot of inspiration. 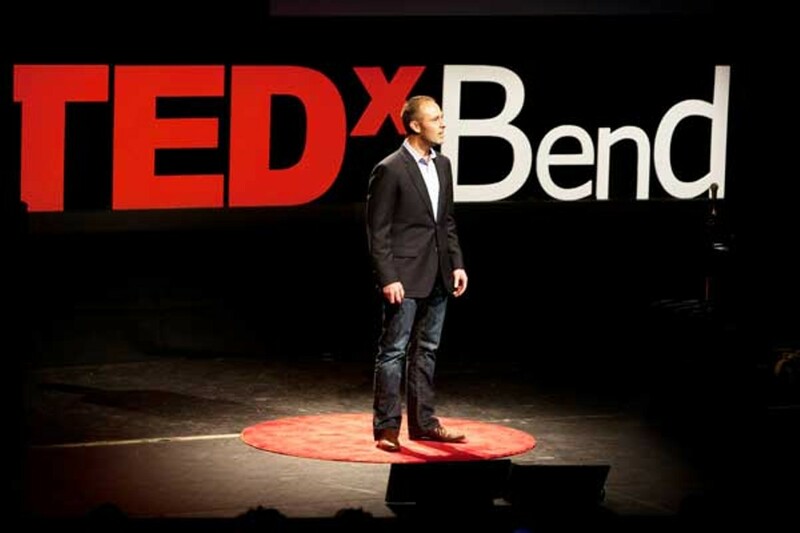 For the second year, Central Oregon will host its own TED satellite event, TEDxBend. The daylong conference is an intellectual smorgasbord, gathering up both local and national academic (and spiritual and moral) heavyweights, each presenting under the umbrella topic Leaps and Boundaries. This means attendees can expect to hear from a variety of presenters who have overcome obstacles and perceived boundaries, like Russell Redenbaugh, who became a world jiujitsu champion in spite of losing his eyesight at the age of 16. "Our theme last year was bending rules; this year it's about breaking boundaries. It's tapping into what we think is a part of the Bend cultural DNA," said Paul Evers, president of tbd advertising, one of the major sponsors of the event. "There is a willingness to take a leap and move to an area where you can defy conventional wisdom and strike a balance between a recreational life and entrepreneurial and creativity and success." Other boundary breakers include Amber Case, a cyborg anthropologist and I, Robot aficionado, who will discuss the relationship between humans and technology. Case is the founder of Geoloqi (geo-low-key) Inc., a company that developed an app to provide relevant information via smartphone based on its borderline Big-Brother global positioning system. Geoloqi alerts users to things like road closures, nearby retail sales, real estate listings and even energy management tips (i.e. you forgot to turn the lights off at work again!). Creepy, but practical. Speakers from our own neighborhood will include Chad Russell, a Marine veteran who served three tours in Iraq where his job description included "eliminating enemy forces" as a sniper. Born and raised in Bend, Russell now lives in Portland and will discuss his struggle to readjust to civilian life after being on the front lines—an increasingly important, but under-discussed, theme in contemporary American history. The Portland Cello Project, which breaks boundaries by rocking rearranged versions of everything from Bach to Kanye to Metallica on classical instruments, will provide entertainment and do its own presentation. 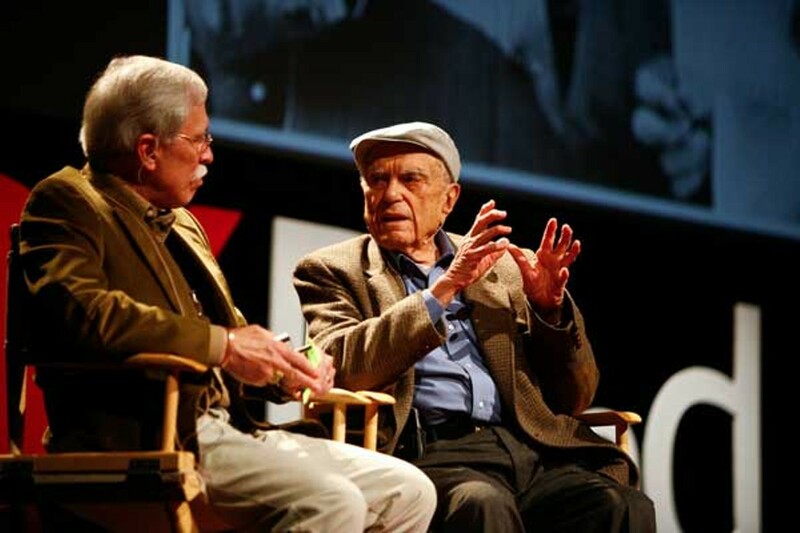 "A key element in TED is that there is a fair amount of entertainment," said Jim Schell, head of the TEDxBend steering committee who helped to put on last year's event with a performance from local hip-hop artist MOsley WOtta. "Portland Cello Project will do some entertainment and a presentation on how they got together and how they make the group work." Rallying attendees around inspirational, authentic stories is central to both the global and independently organized events. "We have a lot of conferences and workshops that speak to industry folks, but TEDxBend is an inspiration to the entire community," said Evers. "It's a significant contribution to the depth and substance of the Bend community." This year picks up the momentum from last year, when the conference included a range of presenters from Blake Canterbury of Atlanta, creator of beremedy, a social media network for helping those in need, to civil rights icon Myrlie Evers to Bendite Malarie Pratt, who spent the last few years working with orphans in Africa. The inaugural conference was such a success that tickets for this year's main event are already sold out. "I absolutely loved it," said Kali Baker, an attendee of last year's conference who is now involved with the event's planning. "It's an uplifting thing. It was a year ago, but it was one of those events that sticks with you, and you feel a positive impact from." All of last year's presentations are available to watch online on the TEDxTalks YouTube channel, along with recordings of thousands of other TED events. While the main auditorium event is sold out, you can still purchase streaming tickets at TEDxBend.com. A live stream will be fed into a separate room at Summit High School. All tickets include admittance to the after-conference bash where attendees can interact with presenters. "It's hard to explain how much energy comes out of listening to a bunch of smart people talk about how to make the world a better place to live," said steering committee head Schell. "We want to inspire, but we want to do more than inspire. We want to change the culture of our community to be more intellectually curious and interactive in terms of taking good ideas and exporting them to the community." Summit High School, 2855 NW Clearwater Dr.